These black on Yellow Reflective and yellow on black reflective decals are made with 3M 3200 Engineer Grade Reflective sheeting and are appropriate for Homeland Security Applications in New York City or any other local where regulations specify legible markings with reflective feature. 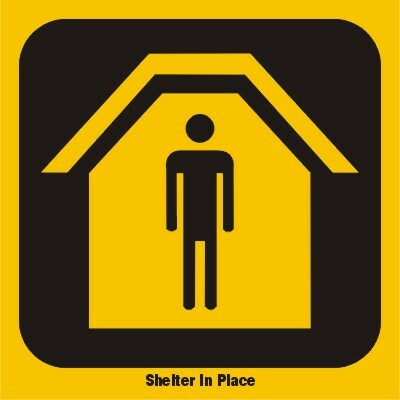 Shelter-In-Place decals are placed at the entrance of the Designated Shelter Area. in .055" polyethylene plastic signs. If you are looking for Custom QR Shelter-in-Place Direction decal click here. If you are looking for Custom QR Shelter-in-Place Instruction decal click here.